Historic Marshall Oil Company Station at this corner. The old filling station on the corner of Main and Hampton streets was a very popular view area for Main Street parades. Originally located on this lot was the Ferguson H. Barber home, followed by a small frame store. In an auction reported by the Herald Newspaper in 1919, the lot was sold by the People’s Trust Company along with three other adjoining lots, described as the former Barber’s corner. The corner lot was purchased by Beatty J. White, and total proceeds for the sale of the four lots was $53,903., a substantial investment. By 1925, the property was owned by C.L. 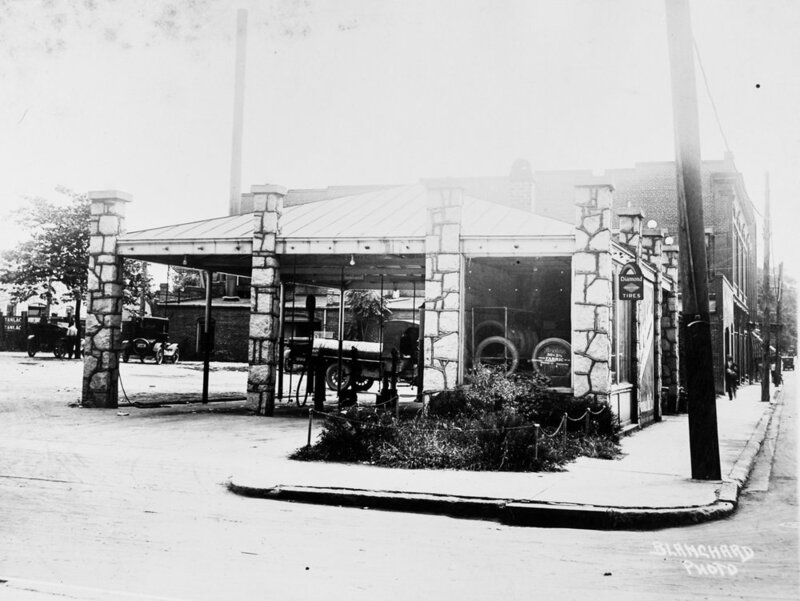 Cobb, one the South’s leading bankers, the site of Victoria Station, a filling station. The Herald Newspaper later reported a change of management by the Standard Oil Company in 1925, when Rogers Black was put in charge. Under Black, the old Victory Station was demolished, and a new larger downtown service station was built. In 1932, it was reported that the property had been leased from the Marshall Oil Company by A. Bynum Poe, and that it would continue to operate under the name Victory Service Station. The Poe family also owned and operated one of Rock Hill’s oldest businesses, the A.B. Poe Co., or better known as Farmer Exchange. At the time of the Rock Hill Centennial celebrations in 1952, this corner had become one of the most popular for viewing of the Centennial and Christmas parades. Individuals lined Main Street to witness floats but also the extremely talented Emmett Scott High School Bank. Their performance was the highlight of the parade for most residents. In the 1980s, this lot was the location of the Central Newsstand. 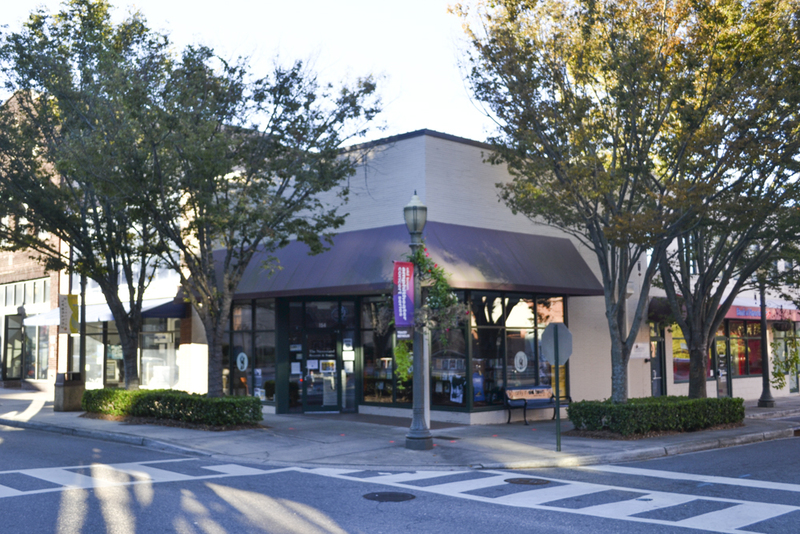 In 2015 the Newsstand – Books and Records store, opened for business on this corner.